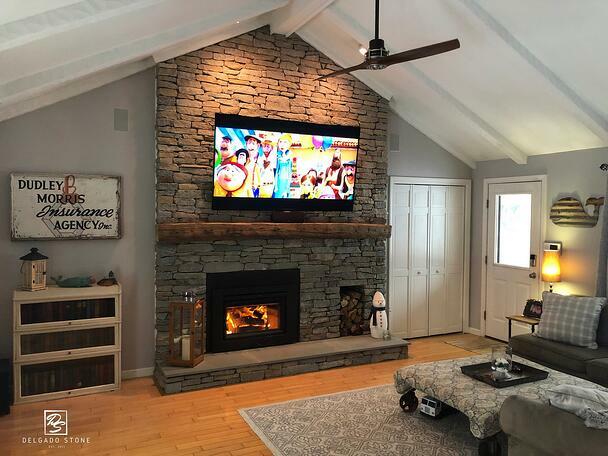 It started with an Instagram post but we were fortunate enough to receive before and after pictures of this brick fireplace getting a stone veneer makeover. Our CT Blend Ledgestone was selected to help brighten up the room in what some call a "rustic-modern" design. One of the most common uses for natural stone veneer is for a fireplace. 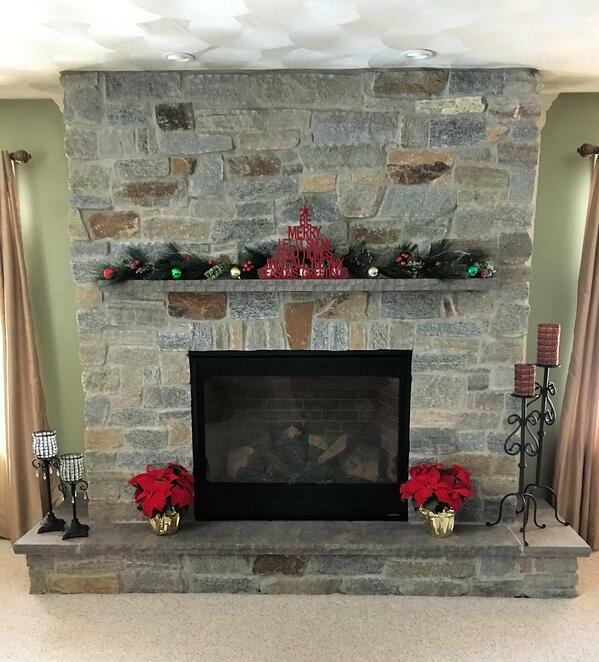 Firepits and fireplaces are a popular trend when renovating or remodeling so we have received this questions many times, "what's the best stone veneer for a fireplace?" 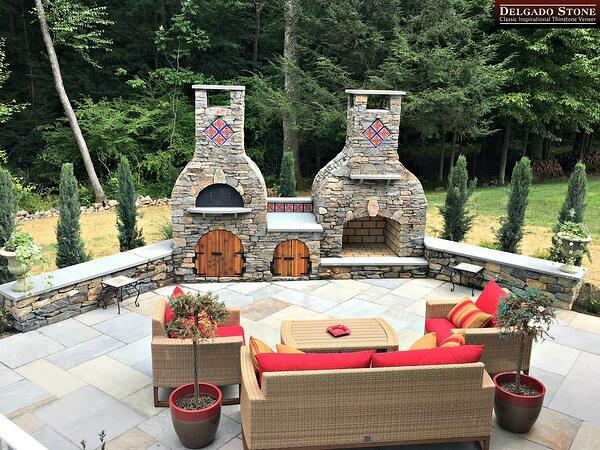 Lately we have been receiving calls from homeowners looking to use natural stone veneer for backyard projects. While we don’t offer our products directly to homeowners (we sell to our authorized dealers) I always take the time to have a conversation regarding how natural stone can be used at home.